As one of the ancient seaport of Alexandria’s key Goddesses, Isis was closely associated with the sea. She is called Isis Pelagia, “Isis of the Sea,” specifically. 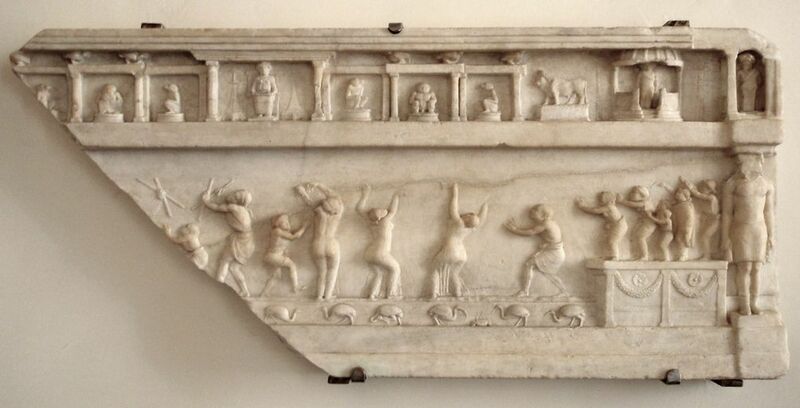 The famous festival of the launching of the ship of Isis, the Navigium Isidis, marked the opening of the shipping season on the Mediterranean Sea. Isis Pharia is Isis the Lighthouse Goddess. 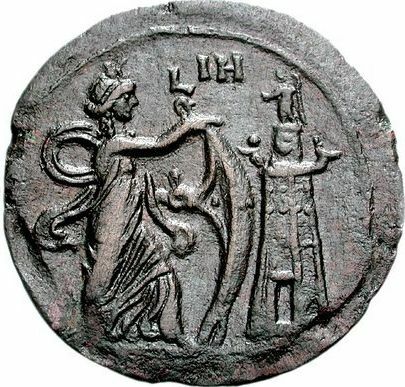 Alexandrian coins frequently represented the Goddess and the Pharos together. Roman inscriptions attest to the existence of an Isis temple or shrine on the island, very close to the lighthouse itself. Between 1994 and 1998, archeological divers in the bay of Alexandria discovered a huge, red-granite torso of a woman, the base of an Isis statue, pieces of the Pharos itself, as well as the remains of a rock-cut temple that may very well be part of the temple of Isis Pharia. Another story derives the name from that of Menelaus’ helmsman, Phrontis, who died on the island. In Greek, the word pharos refers to a cloth or sail. In accordance with this punning meaning, images of Isis Pharia show Her with a billowing sail in one hand while Her cloak is blown backwards over Her shoulder and the famous lighthouse stands in the background. In late legend, Isis was said to have invented the sail while searching for Her son, Horus. The early Christian writer Tertullian, writing against the Pagan religions, says that Pharia’s name “shows her to have been the king’s daughter,” (as opposed to being a true Goddess, of course). Tertullian is surely interpreting Pharia as a feminized version of pharaoh. 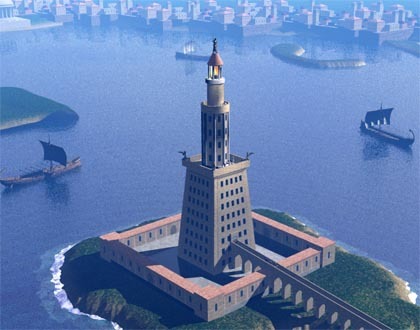 Just as the illumination of the Pharos lighthouse turned Alexandria’s dangerous seas and tricky harbors into commerce-friendly ports, the spiritual light of the Lighthouse Goddess served as a guide for humankind. Isis Pharia is the guardian of navigation and safe harbors—of ships and of souls. May Isis guide me safely on my journey! It’s tempting to tie Her to the figurehead on the bows of ships. This was an aspect of Isis I was not familiar with. Thank you.